Raccoon Valley Swim Club is located just one block off Main Street (Rt. 45) in Mullica Hill, NJ, near the town's famous Antique Row shopping district. The club sits in the wooded area behind the town firehouse and overlooks the deep valley carved by Raccoon Creek (hence our name). Raccoon Valley is a private club owned and operated by its members, most of whom are from Mullica Hill or the surrounding Central Gloucester County communities of Richwood, Woolwich, Swedesboro, Mantua and South Harrison. Many RVSCers are second- or third-generation members, but we're always happy to welcome new additions to our "family". Though we're not the largest of swim clubs, Raccoon Valley packs a lot of great attractions. We offer three pools, a snack bar, a covered picnic pavilion with new barbecue grills, a large playground, showers and changing rooms, open swim lessons, and most importantly, a great, friendly, relaxed, open, fun family atmosphere. Our season runs from Memorial Day weekend through Labor Day, and we host special nights throughout the summer for kids, teens, and grownups alike. Yes, we have a kids' swim & dive team and it's a good one. 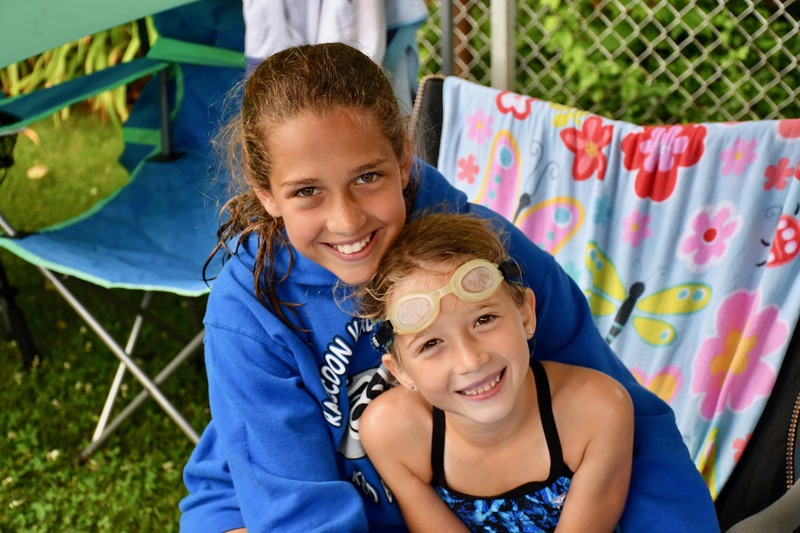 The Raccoon Valley Masked Bandits are a founding member of the Suburban Swim Association, one of two major summer swim leagues here in swimming-mad South Jersey. The Masked Bandits also face off each July against the other county swim clubs in the Gloucester County Championships, aka The Peach Bowl, plus our divers compete in the annual South Jersey Diving Championships. As the team motto goes, Catch Us If You Can! Founded in 1957, Raccoon Valley celebrated its 60th season in 2017! If you'd like to join the fun, check out our Memberships page for complete information and rates, including a summary of our popular Swim Team Only, Evening Only and August introductory packages. Memberships are limited, so please act early.